Initial site establishment works have begun on site. These works include the removal of vacant buildings for the construction of the information and sales office. 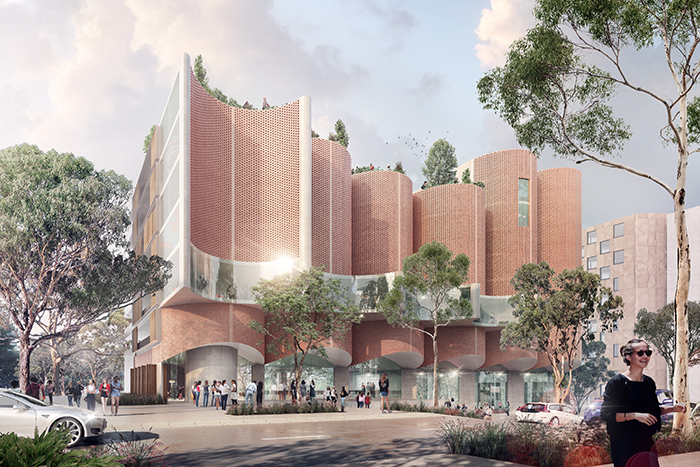 As these works are being undertaken by NSW Land and Housing Corporation (LAHC), they have been approved under a separate process to the Master Plan. Works are expected to take 15 weeks, and be completed by the end of July. The NSW Government has announced that Ivanhoe will have a co-educational school for 1000 students, managed by Sydney Catholic Schools. Read it here. For more information see the Ivanhoe Estate website. 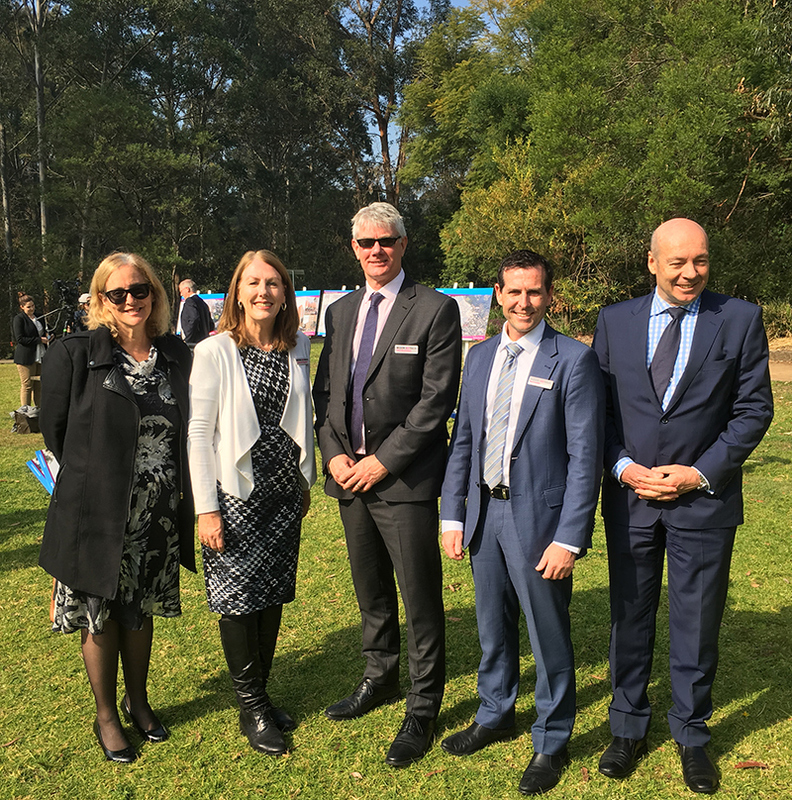 The redevelopment of the Ivanhoe Estate at Macquarie Park into an integrated community has reached an important milestone. 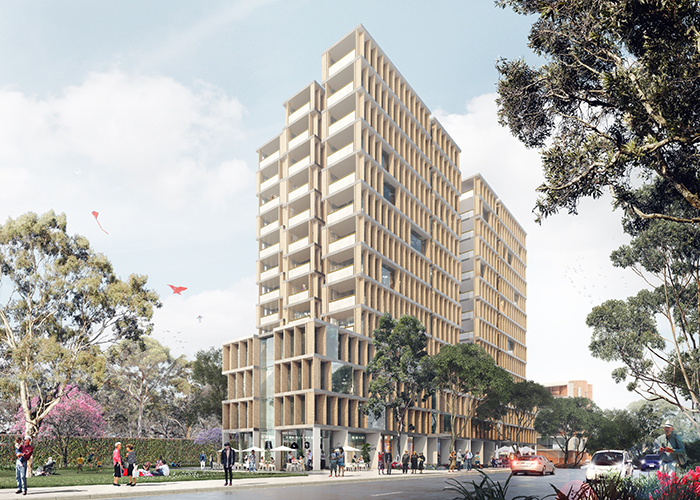 NSW Land and Housing Corporation (LAHC) has been working with the recently-selected Aspire consortium (Frasers Property Australia, Citta Property Group and Mission Australia Housing) on the transformation of the 8.2 hectare site on the corner of Herring Road and Epping Road. Ivanhoe will be first and foremost a community for everyone, providing a range of housing options, community facilities and services to cater for all residents. After hearing feedback from the local community, other stakeholders, and conducting further studies, we have now lodged our Master Plan with the Department of Planning and Environment. The department will undertake a ‘test of adequacy process’ on our master plan. Once complete, it will be placed on public exhibition and we expect that this will happen in the next few months. When we are informed of the exhibition start date and the community engagement activities involved, we will let you know how you can contribute your comments and views. We encourage you to get involved! Initial site establishment works are expected to commence soon, and they include the removal of vacant buildings for the construction of the information and sales office. As these works are being undertaken by NSW Land and Housing Corporation (LAHC), they have been approved under a separate process to the Master Plan. Works are expected to take 15 weeks. After hearing feedback from the local community, other stakeholders, and conducting further studies, we have now lodged our Master Plan with the Department of Planning and Environment. The next step is to finalise our Stage 1 Development Application. This will include incorporating the feedback we received from the community in February. We expect to be lodging this application soon. 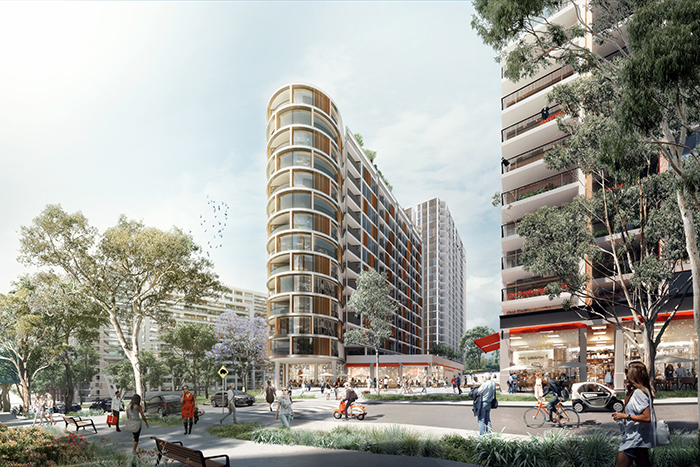 The development of a new mixed tenure community in Sydney’s Macquarie Park is set to redefine the way social, affordable and market housing are integrated together to provide a sustainable and inclusive neighbourhood for people from all walks of life. 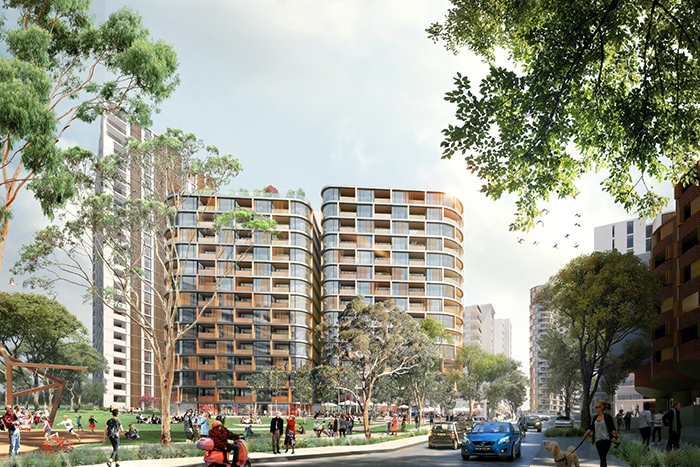 The Aspire consortium, comprising community housing provider Mission Australia Housing with developers Frasers Property Australia and Citta Property Group, has been appointed by the NSW Government to redevelop and transform its 8.2 hectare Ivanhoe estate in Macquarie Park, under a project development agreement. The project is part of the NSW Government’s Communities Plus program to redevelop and grow the Government’s social housing portfolio. Frasers Property Australia and Citta Property Group will bring their design and delivery expertise in integrated communities and Mission Australia will provide their extensive experience and ongoing services to ensure the success of the social housing model. The innovative project is estimated to have an end value of approximately $2.2 billion and will see the creation of over 3,000 new dwellings, providing homes with access to infrastructure, transport, services and jobs, along with quality amenities and open green spaces to support a new vibrant, safe, integrated, cohesive and sustainable community. The redevelopment of the Ivanhoe estate will seamlessly integrate private housing with at least 950 new social housing dwellings and 128 affordable homes. The social housing will be of the highest contemporary quality, sustainability and comfort with all social housing tenants having access to low to zero cost heating in the future development. This important urban renewal project will also integrate a new high school, residential aged care facility with a seniors’ wellness centre, two childcare centres, a supermarket, cafés and specialty retail shops, jogging track, nature based playgrounds and exercise stations, basketball court, open green spaces and community gardens. Mission Australia will have staffed offices on-site to assist in the delivery of support services and programs to strengthen the local community. Mission Australia CEO Catherine Yeomans said the new development will be a positive, evidence-based model for an inclusive and integrated community that provides homes and a community for people from varied socio-economic backgrounds. "Everyone deserves a safe place to call home and everyone who lives in the Ivanhoe community will have the opportunity to fulfil their potential and connect with people in the neighbourhood, as well as having easy access to education, transport, jobs and services in the area," Ms Yeomans said. “Without a stable and safe place to call home, connecting with a community, raising a family, maintaining health and wellbeing and even just getting to work become major challenges. Ivanhoe provides essential community infrastructure as well as secure accommodation, and will be an inclusive and safe place to live,” she said. 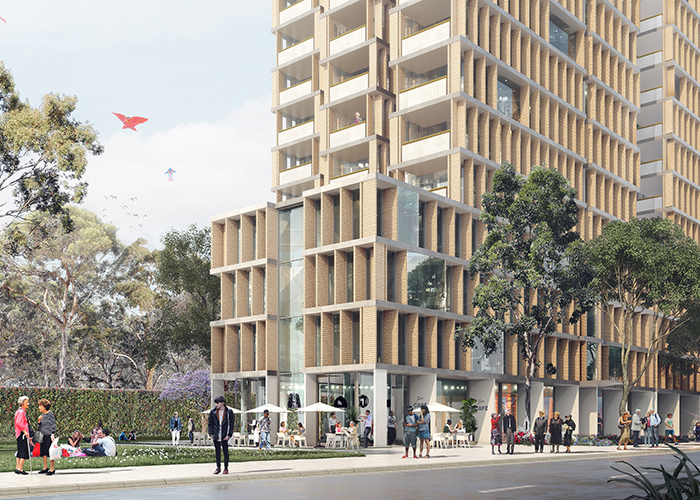 Rod Fehring, Chief Executive Officer of Frasers Property Australia, said Ivanhoe will blend best practice urban design, iconic architecture and world leading sustainability to transform the former social housing estate into a world-class residential neighbourhood. 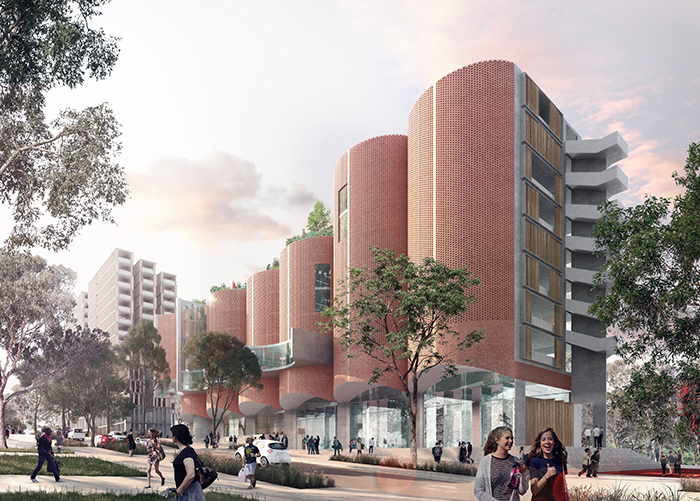 "With a focus on design and a holistic approach to environmental and social sustainability, the redevelopment of the Ivanhoe estate will be a flagship project for NSW, demonstrating how the government and private sectors can work together to deliver necessary social and affordable housing by taking a true long-term community view," Mr Fehring said. Stephen McMillan, Managing Director of Citta Property Group, said the consortium would bring a unique combination of skills and experience to this significant and innovative government project. “Citta and Frasers Property have collaborated on a number of complex projects and with Mission Australia as part of the team, we look forward to creating an integrated and connected community for residents which they will be proud to call home,” said Mr McMillan. Targeting a 6 Star Green Star Communities rating, the consortium aims for the Ivanhoe community to be carbon neutral in operation. The development will incorporate a 1.5 megawatt photovoltaic system, green roofs, and will capture and re-use water. There will also be a focus on use of recycled materials and waste minimisation through construction. Community wide initiatives such as extensive landscaped public domain, a car sharing scheme and active transport facilities will be complemented by health and well-being metrics through local programs and partnerships. An integrated infrastructure solution with solar PV to reduce electricity peak demands, high efficiency centralised hot water, smart metering technology and minimised use of on-site gas will deliver reduced utility costs to residents. The existing colony of protected Sydney Turpentine Ironbark trees will be preserved and the ecological corridor along Shrimptons Creek will be regenerated. 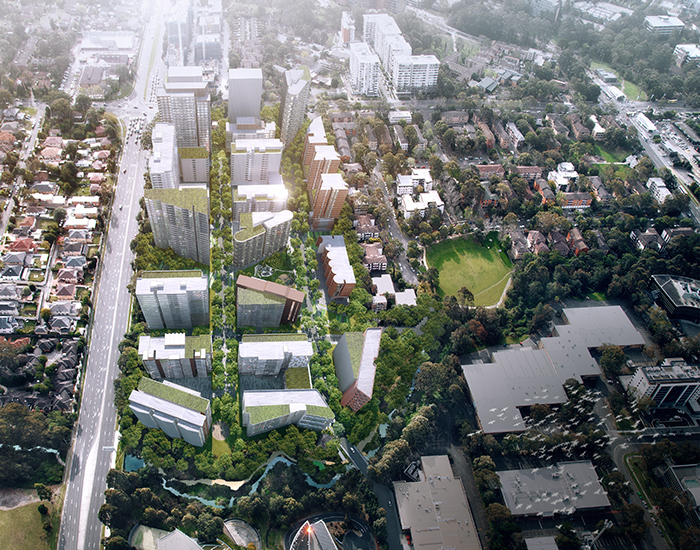 The project will also include new road intersections, local infrastructure upgrades and parking provisions, while a new bridge will connect residents with Macquarie Business Park. As part of the project, dedicated funding generated through the redevelopment will be reinvested in social outcomes over 20 years. Mission Australia will coordinate a comprehensive suite of tailored, person-centred supports and services for social housing tenants who elect to access them. This approach will enhance social housing tenants’ capacity to achieve safety, stability and independence through employment, helping people to progress to alternative housing options. “All levels of government should be looking to strengthen communities and directly assist households experiencing financial stress due to housing costs. Ivanhoe is an evidence-based model that provides affordable rental housing as well as much-needed social housing, ensuring that many people in real need will have a safe and secure home in a vibrant and well-connected community,” said Ms Yeomans.